Ford is using Mustang's birthday week to announce that the iconic pony car will be the company's new contender in the NASCAR Series for 2019. The Ford Mustang is having a huge week, celebrating its birthday and National Mustang Day. Now, Ford is announcing that the Mustang is heading to the NASCAR Monster Energy Cup Series for the first time. 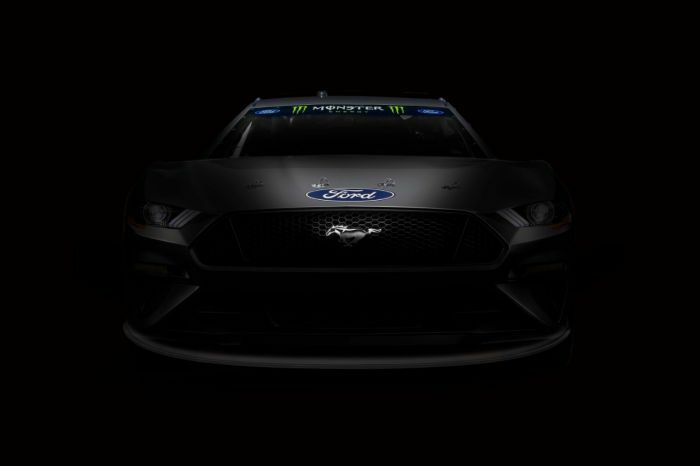 The Ford Mustang will race into stock car racing’s top league, starting with the 2019 Daytona 500, in February. Chevrolet recently switched its NASCAR body style to the Camaro ZL1. Toyota dominated many of the races in 2017, mostly because of its sleeker new Camry design. The old adage in the National Association of Stock Car Auto Racing is “Win on Sunday, Sell on Monday” suggesting that racing success is directly related to selling the performance cars to the public. Mustang is already a huge seller and the most popular sports car worldwide. The additional notoriety from racing can only help. According to Ford, "Mustang has competed in the NASCAR Xfinity Series since 2011, winning championships in all but one season. It has taken Team Penske to four owner’s championships in the last five years and carried Ricky Stenhouse Jr. to consecutive driver’s championships in 2011 and 2012." In recent years, Ford has used the Taurus and Fusion as its race car models. Of course, while these are considered stock cars, they are really nothing like actual street cars. They are stripped of most accessories to lighten them and are reinforced to protect the drivers. Ford has six organizations and 13 teams using its models in the NASCAR lineup, including Wood Brothers Racing, Roush Fenway Racing, Team Penske, Stewart-Haas Racing, Front Row Motorsports and Go Fas Racing. Some of the Ford drivers, like Brad Keselowski, have complained that Ford needed to do something to better compete with the redesigned Camry race car. The new Mustang body is still going through testing and will be formally submitted to NASCAR for approval this summer. Ford isn’t saying when the public will get to see the new race version. The first series points race for Mustang will be the Daytona 500 on Feb. 17, 2019.